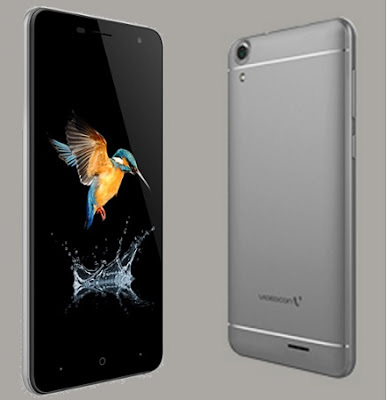 Videocon Mobile has introduced a new budget Android smartphone in India, the Metal Pro 2. The handset will be available to buy from multi-brand retail stores across the country. The smartphone has been priced at Rs. 6,999, and there is an introductory offer under which the company is giving a 100-day replacement policy. The 4G VoLTE enabled Videocon Metal Pro 2 sports a 13-megapixel back camera, which also the highlight of the handset. Other specifications include 16GB of internal storage, expandable via microSD card (up to 128GB). The handset is a dual-SIM (Micro+Nano) device, but it has a hybrid dual-SIM configuration which means you can either use two SIMs or one SIM and a microSD card. The Videocon Metal Pro 2 is driven by 1.25GHz quad-core MediaTek MT6737 chipset. Android 7.0 Nougat running handset comes with 5-inch HD (720×1280 pixels) display, 2GB of RAM, 13-megapixel main camera with LED flash, while also houses a 3.2-megapixel front camera. It also include Wi-Fi 802.11 b/g/n, GPS/ A-GPS, Bluetooth v4.0, FM radio, and Micro-USB port. It is backed by a 2000mAh removable battery and will be available in Grey and Gold color options. While launching the Metal Pro 2, Akshay Dhoot, CEO, Videocon Mobiles, said, “At Videocon, we are committed towards meaningful innovations that delight our consumers and the new Metal Pro 2 is an outcome of our aspirations. Metal Pro 2 is a slim and stunning device, which has been designed keeping in mind the requirements of the users who always look for classy, yet technically advanced smartphones.